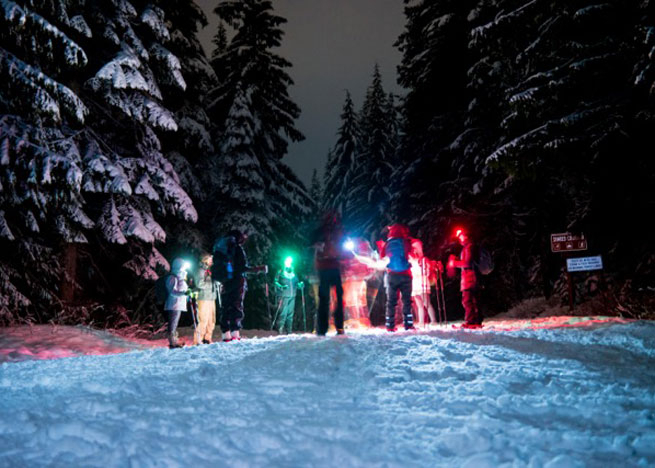 Like to hike at night? 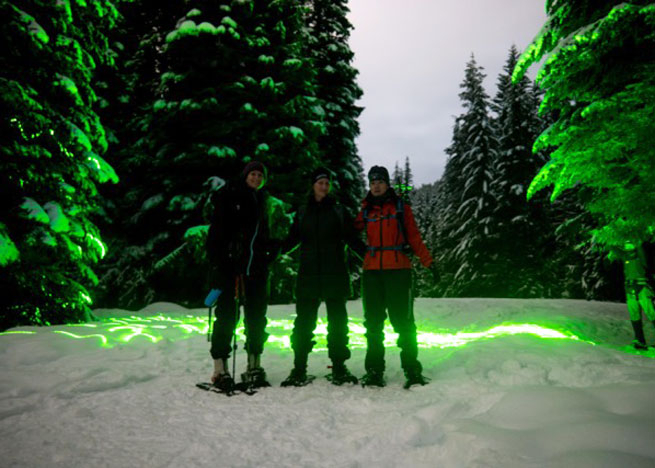 Night snowshoeing is a great way to extend your hiking season. Winter's white mantle transforms the familiar summer hiking trail into a snowy wonderland begging to be explored and if the forecast cooperates, the moon or stars should make an appearance. 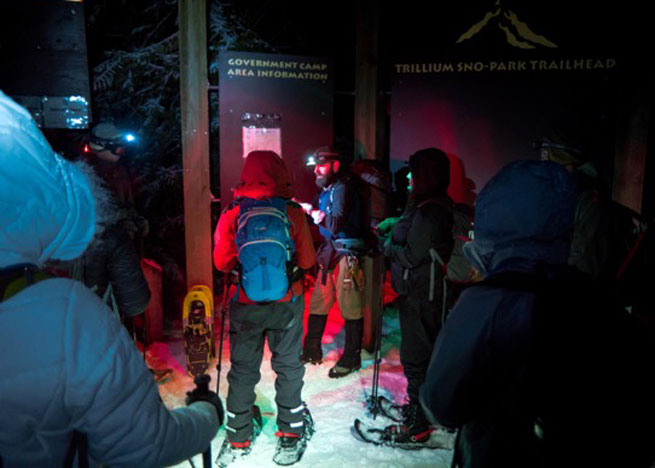 Next Adventure snowshoe trips are an excellent introduction to the pleasures of winter hiking with no-hassle transport, gear rental, and instruction from an experienced guide ensure you have a safe trip your first time out. New for this season - STARLIGHT TOURS! 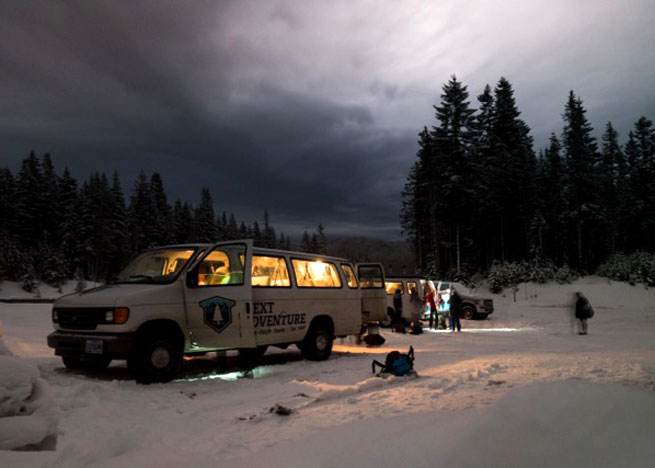 Moonlight tours are scheduled when the moon is at its fullest for your viewing pleasure. Starlight tours are scheduled during the new moon when stars in the night sky shine brightest.